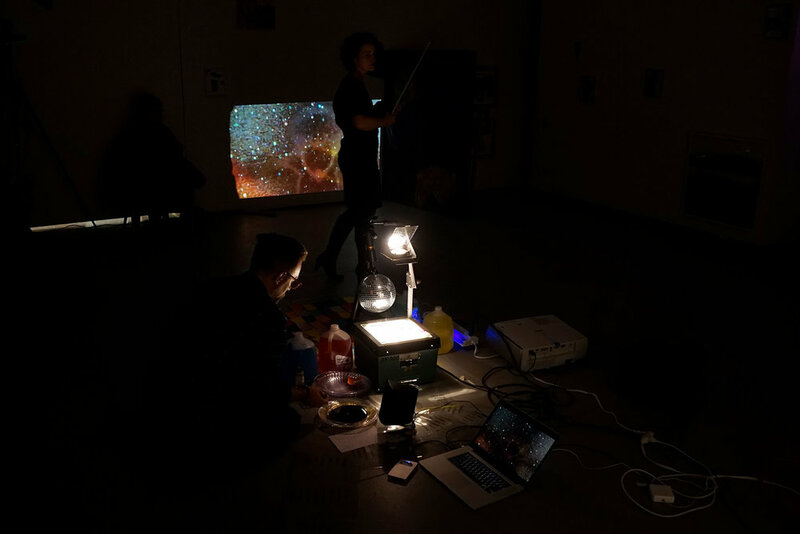 The Book of Spells is an ongoing collaborative performance project of The Afield (violinist Rebecca Fischer & Anthony Hawley). 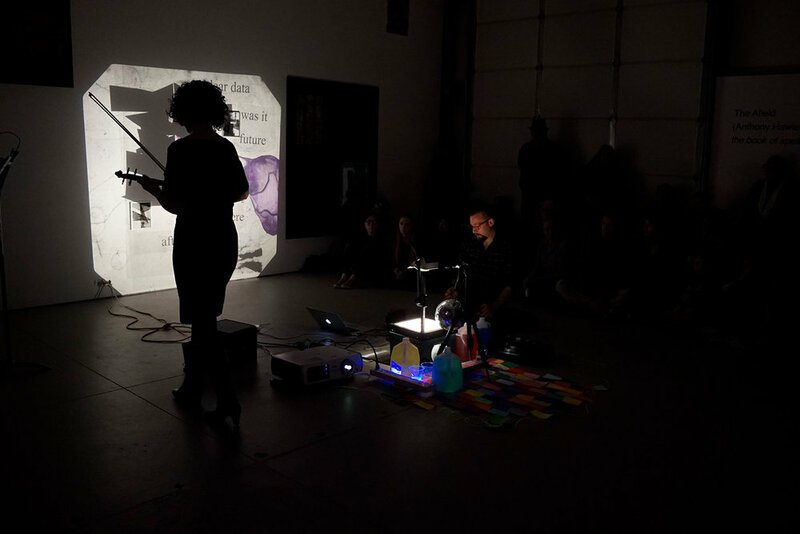 The first iteration occurred at Fiendish Plots in Lincoln, NE in the fall of 2017. 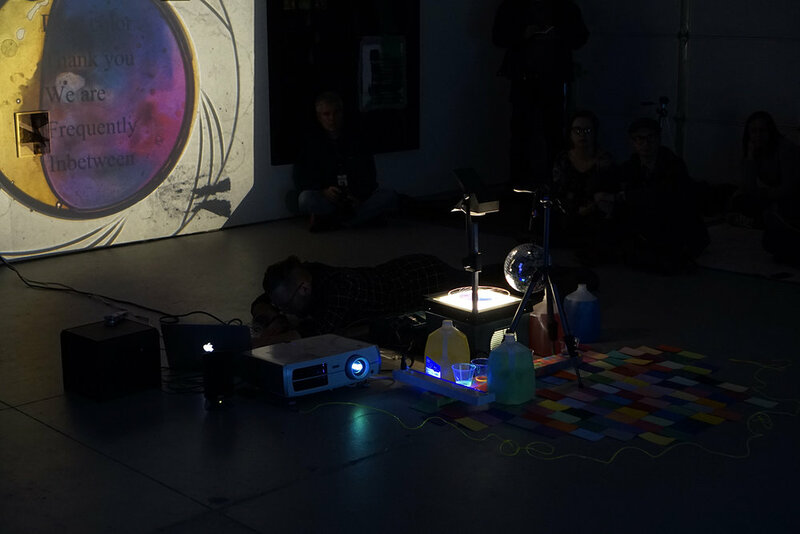 It consisted of a month-long installation and series of three performances—"Spells for Color & Water”; “Spells for Dictators & Borders”; and “Spam Spells” (featuring video works by artist Nat Castañeda). "The Book of Spells" is a kind of ever-changing book in space; one with different chapters, recipes, footnotes, appendices, illustrations, instructions, pop-ups, histories, scribbles in the margins and more. In an age where a new kind of premium is being placed on being "rock solid," on not "flip-flopping", and on defining oneself against instead of alongside difference, why not create a space that grows, sheds, and breathes. “The Book of Spells” does just that, rising out of a need to interrupt the present with an alternative set of actions, guides, and incantation.